How do I invite members to join my account? [New Layout] – Hey. Ask us anything! One of the first step in setting up your monday.com account is inviting your members 😊 Continue reading to learn how! How to invite team members to my account? Enter the email address of the individual you want to invite. A new user may have a non-domain email address and be invited into your company's account. The user must have an email address, however. Pick whether you would like to invite a new team member as a member or a viewer. To learn the difference between each type, check out this article. 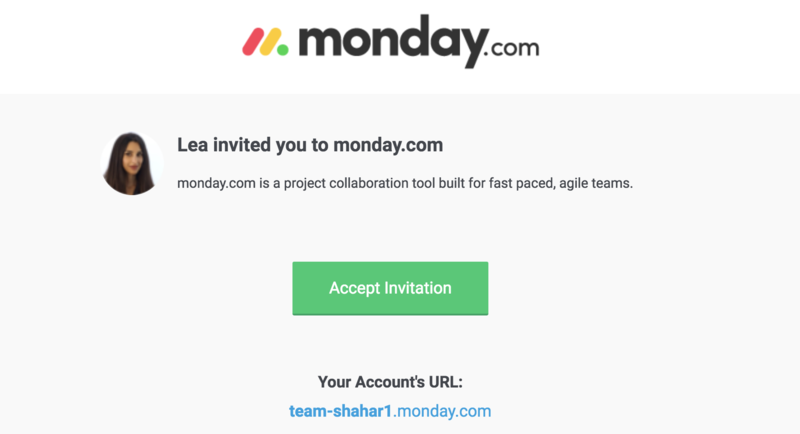 Note that in the lower part of the "Invite New Team Members" screen, there's the option to directly have the user added, whether he's a Member or a Viewer, a new or existing team within your monday.com account. The Team feature is a great tool for you to organize your teammates and make assigning tasks much more efficient and practical. To learn more about teams and how to create them, please follow the next link: How to Create a Team. Once done, click the "invite" button located at the bottom right of your screen. Once done, this person will then receive the invitation to their email. They must accept this invitation in order to be a part of your account. Where can I see pending invitations to my members and guests? Click on pending in order to view your pending invites. From there, you will be able to either resend the invite or cancel it. My team member hasn't received the invite. The first thing we would recommend is to ask your team member to check his/her spam folder. If it is not in the spam, try to resend the invite by following the instructions above. Can I add a team member without inviting them into my account? Currently not. If you would like one of your colleagues to have access to your boards, you must invite him/her into your account. If you would like to assign tasks to some members without inviting them, what you can do is use the text column and manually write their names next to each pulse. There is a daily limit of invites you can send. The amount is calculated as "maximum users allowed in your account * 3. This means that for example, if you have purchased the 10 users package and need to grow your team, you can invite 10*3=30 users and/or guests per day. What are team members, members and viewers?